Today, 9 May, is very important to people from Guernsey as it marks the anniversary of the date that the island was liberated from The German Occupying Forces. The Mister was working until 2pm so The Little Mister and I spent the morning at my parents house although we took a little walk along by the beach. As I walked I wondered what it must have felt like, all those years ago, to finally realise that the long 5 years of Occupation were over. I am pretty sure that none of the islanders had really thought about how bad restrictions were going to become in that time, and at the end most people were surviving on the Red Cross parcels that were able to get through. The relief of Liberation must have been amazing. I am so very very grateful that I live on this beautiful island. I am thankful for all those people who fought so hard for our freedom, and I am proud of the islanders who stayed went through the Occupation, whether they remained on the island, or were evacuated and especially those who ended up in work camps. Those years proved the resilience and defiance of the Guernsey people and of that I am hugely proud. This afternoon we went to town to join in the celebrations and I came across these women, I think they were a singing group, but I think they look fabulous. A couple of days ago my brand new induction hob refused to switch on. Hopefully it will be able to be fixed but right now I am without a hob which is very annoying, especially as I invited my cousin and her husband for dinner on Friday. So, this afternoon I went to my Mum and Dad’s house to cook a couple of curries which I can just re-heat. By the time I got home though I was tired so out tea consisted of fish-fingers, oven chips and peas accompanied by a glass of red wine. 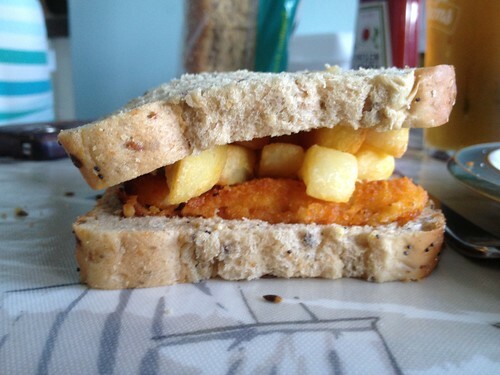 The Mister decided a chip and fish-finger sandwich was the way forward! 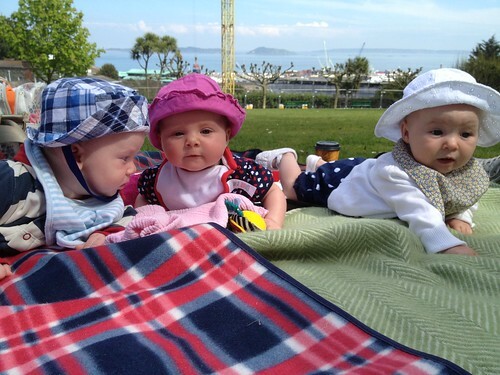 Another warm and sunny day today and The Little Mister and I met up with the Ladies and Babies. Trying to get them all to look at the camera at the same time proved very trying! 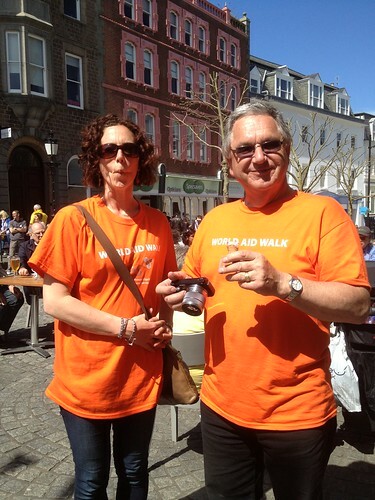 Today was the World Aid Walk, a 20km walk raising money for 6 different charities., one of which is my sister’s charity, Hope For A Child. Last year I did the walk along with Mum, my sister and my aunt. I didn’t do the whole walk this year by The Little Mister and I joined my Mum for the last 5km. 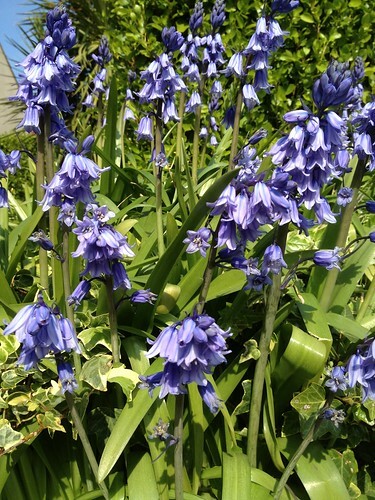 It was an absolutely gorgeous sunny day – perfect for a walk. My Dad and my sister are on the walk organsing committee and between them they gave spent much of the day driving about, delivering water and setting up and taking down checkpoints. My sister is doing her ‘thin’ face and I told her I had a ‘nice photo’. This is it Lou, the other one was rubbish!! 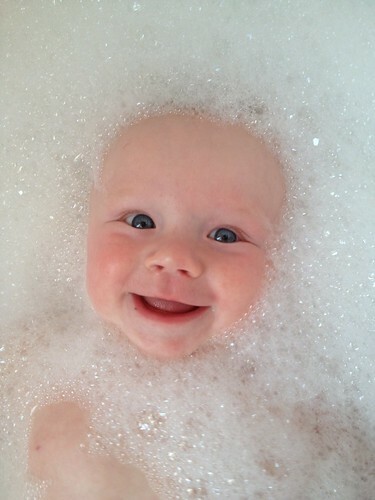 The Little Mister loves his baths and he is shaping up to be a real water baby. Most days The Mister will bathe him and I can hear him chatting away and The Little Mister giggling and screeching with pleasure. It’s just delightful. The Little Mister has been enrolled in swimming lessons starting in September, but we are going for a holiday in Jersey in a few weeks so we will see if the hotel swimming pool is warm enough for him. I am not sure he will like the cold but I think he will love the water! I seem to spend hours and hours out walking with The Little Mister in the buggy. It seems that the motion of the buggy means he will sleep much deeper and longer than if we stay at home and he goes to sleep. Today the weather was a bit changeable but this was a gloriously sunny moment. I vaguely knew in which direction I was heading but I was just following the twists and turns of the roads. 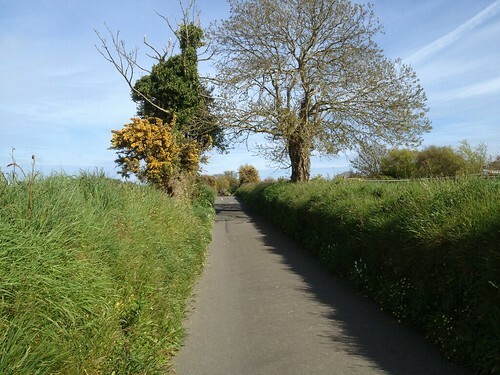 This was one of the gorgeous lanes I walked down today and it is only about 5 minutes from our house. Lovely. 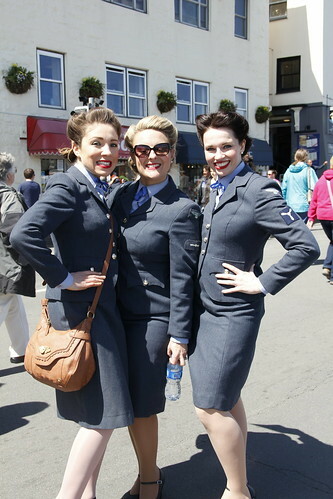 Ahhh Guernsey in the sun is just the most heavenly place! My sister and I took the kids to the beach at about 4pm today. It was still gorgeous and sunny and even warm and the children enjoyed playing in the sand and water. Who could want more? We had the beach almost to ourselves and it was perfect! 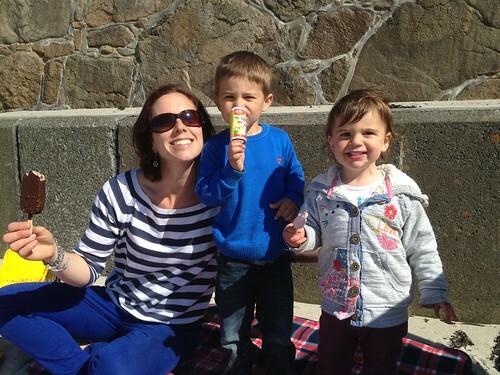 Of course we had to enjoy a small ice-cream just to feel like it really is spring! The Little Mister has been quite grumpy today after having had his third set of jabs yesterday. He went for a long walk with The Mister this morning and then this afternoon we wandered through the lanes. The lanes are bursting with flowers and all over the place there are signs of new life, celandines and primroses, as well as bluebells which are some of my favourite flowers. It’s been a beautiful day. Since finishing the house we have done next to nothing to it even though there are a few bits that need finishing off. The Mister has spent a bit of time out in his garage. I think he needs manly escape places and he also has one on the loft! 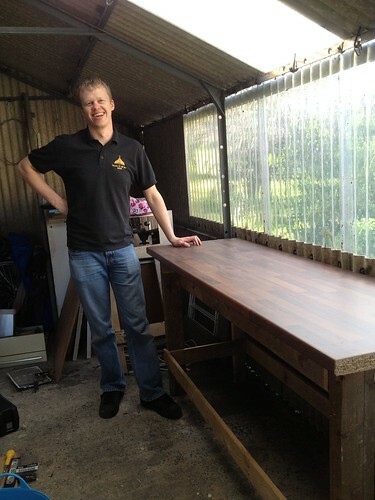 He has been playing with his man tools and he has created this excellent workbench out of old pallets and the leftover kitchen worktop. He looks very pleased with himself and so he should!